You guys know this is my favorite day of the month! 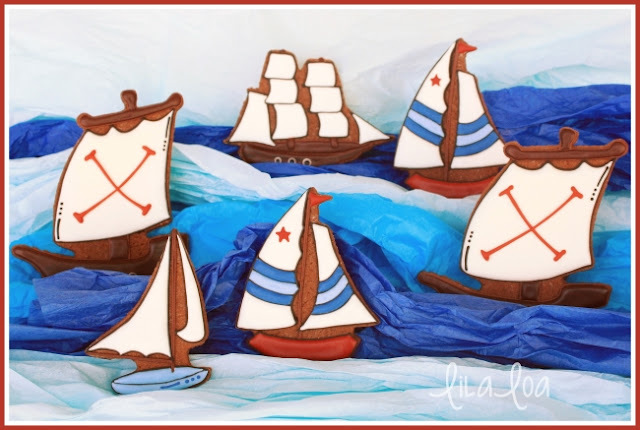 I get to peruse my cousin's fantastic paper creation blog and then recreate one of them in sugar form. I actually made these awhile and I have been SAVING them for some reason that even I don't comprehend. And also I may have forgotten I had them for awhile. 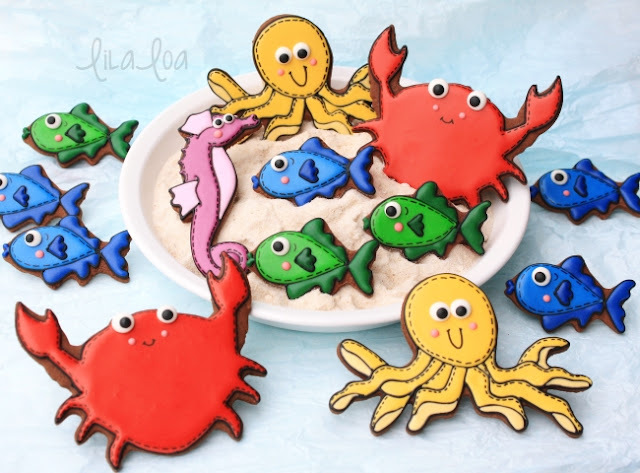 But here we are with some of the cutest, most adorablest sea creature cookies I've ever made. 1. 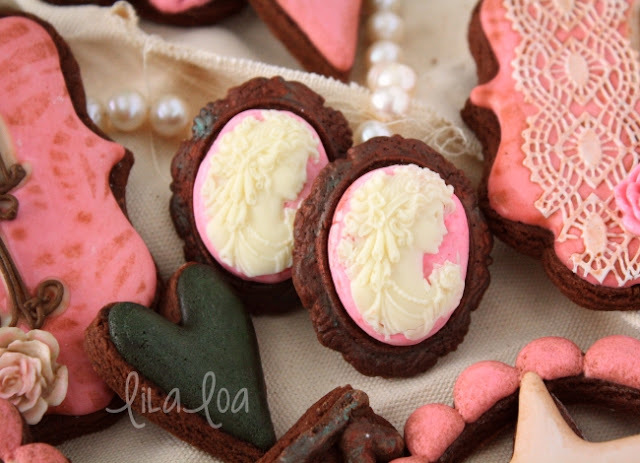 Bake yourself a crab shaped cookie. You can eat one of them if you want to. I won't tell. There was a time in my life that summers meant sailboats. Little tiny one person sailboats that I could carry all by myself....Sailboats I made out of spare parts and fiberglass....Catamaran sailboats that would fly practically sideways through the water...Big ol' sailboats with booms and giant genoa sails that you could sleep in for days. I taught people to sail and took people on sailing tours and I raced sailboats and very nearly won... and I never thought I would find something that made me that happy. And then, guess what? There are a MILLION fantastic things in this life! Like getting married and crazy kids and living in South Korea and whitewater rafting and rock climbing and making cookies and MAKING COOKIES WITH COOKIE FRIENDS!! !